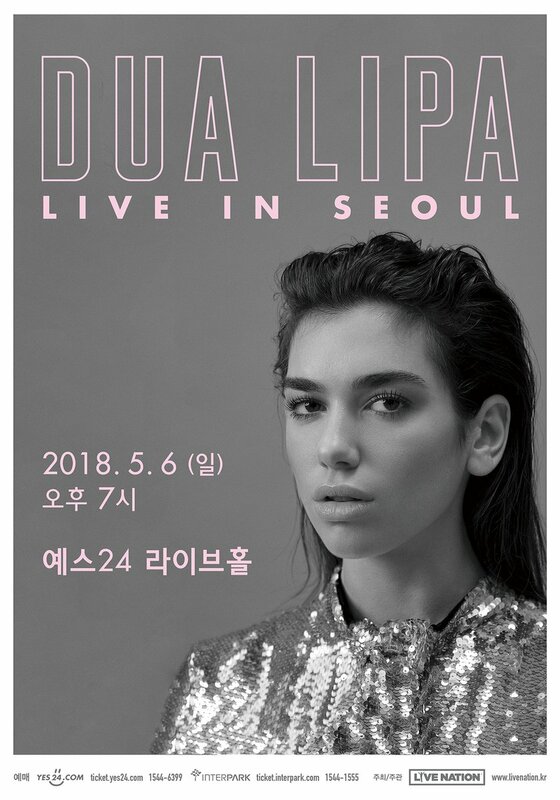 British singer-singwriter Dua Lipa is visiting Korea this May for her first solo concert in the country. The artist will perform on May 6 at Yes 24 Live Hall located in Gwangjin-gu. This upcoming performance is her first visit to Korea, following last year’s Pentaport Rock Festival in Incheon. Her impressive and powerful performance at the rock festival helped Dua Lipa to build a strong fan base in Korea, especially popular among female music fans. As hundreds and thousands of Korean fans have been anticipating for her next visit, the news about her solo concert will make many of them excited. Tickets to Dua Lipa Live in Seoul will be available from February 14 at noon. Subscribers to Live Nation will get access to pre-sale, which will open on February 12 at noon.